Provide radiation related news regarding the Japan Fukushima nuclear plant disaster and global radiation levels and environmental contamination. 1/7/2014 Why Is Radioactive Snow Falling In Missouri? 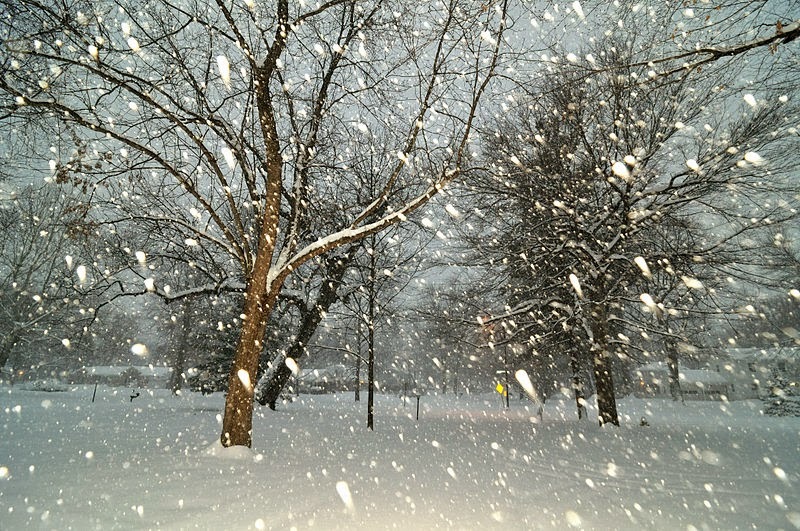 Editor's Note: POTR Blog who run both an outdoor and indoor Geiger counter from their location in St. Louis, Missouri have also reported on the issue of the radioactive snow. Organized criminal groups have infiltrated the massive, government-backed decontamination effort underway at the defunct Fukushima nuclear reactors in Japan, according to Reuters. 12/11/2013 General Electric Knew Its Reactor Design Was Unsafe … So Why Isn’t GE Getting Any Heat for Fukushima? 5 of the 6 nuclear reactors at Fukushima are General Electric Mark 1 reactors. GE knew decades ago that the design was faulty. Still, concerns about the Mark 1 design have resurfaced occasionally in the years since Bridenbaugh came forward. In 1986, for instance, Harold Denton, then the director of NRC’s Office of Nuclear Reactor Regulation, spoke critically about the design during an industry conference. “I don’t have the same warm feeling about GE containment that I do about the larger dry containments,” he said, according to a report at the time that was referenced Tuesday in The Washington Post. 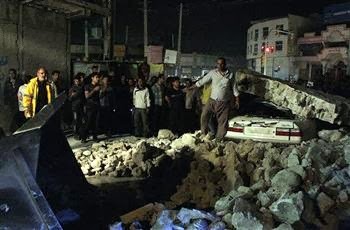 At least eight people were killed and 190 were injured in an earthquake in Iran on Thursday near the city of Bushehr, where the country's sole nuclear power plant is situated, state news agency IRNA reported. The earthquake, which had a magnitude of 5.6, struck about 40 miles (60 km) northeast of Bushehr on the Gulf coast, according to US Geological Survey data. No damage to the nuclear plant was reported. Agence France-Presse. Below is the map of the 5.6 magnitude quake. There article on hypothyroidism in babies Elevated airborne beta levels in Pacific/West Coast US States and trends in hypothyroidism among newborns after the Fukushima nuclear meltdown is available online from Scientific Research: Open Access. I have mirrored the paper for your convenience as well to Scribd below. 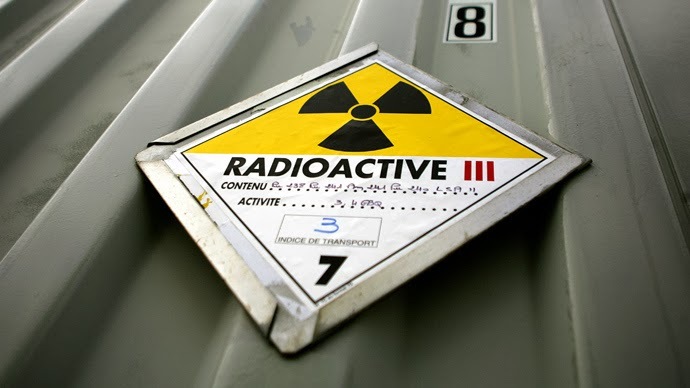 A radioactive waste disposal facility near a small residential neighborhood outside Chicago was found guilty of multiple, potentially hazardous violations and will reportedly be shut down. Complaints waged by the likes of both local and federal regulators allege that Tinley Park, Illinois’ ADCO Services, Inc. inappropriately stored potentially hazardous waste for several years longer that they were supposed to, and time and time again they were warned by officials for their seemingly rampant disregard of the rules. Editor's Note: Map of ADCO Services, Inc. appears below. After weeks of negotiations between diplomats from Iran, US, the UK, Russia, China, France and Germany, Iran has agreed to temporarily freeze its nuclear program while a larger deal is negotiated. 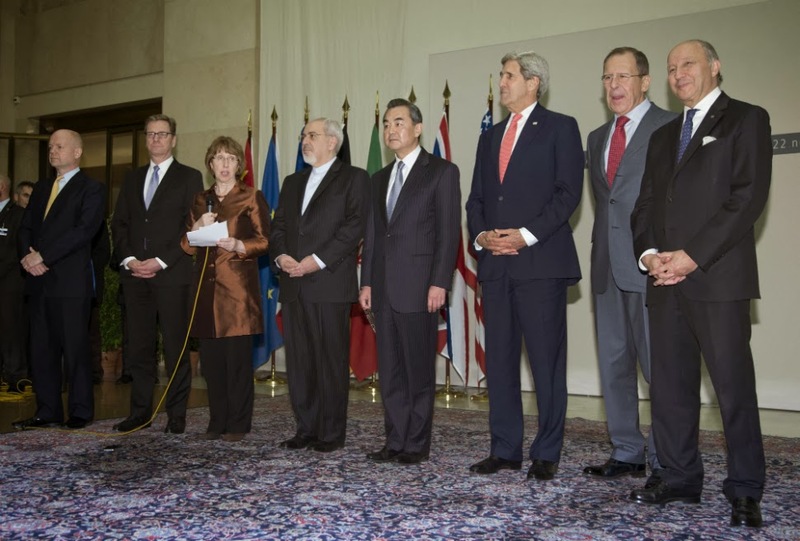 The international agreement would give negotiators time to iron out a deal that would ensure that Iran's nuclear program would only be used towards peaceful ends, and not in pursuit of a nuclear weapon. Over the last few years, Iran has been enriching uranium to 20%, a level close to that which could be used in a weapon. Iran has now agreed to stop enriching at 5%, and dismantle links between centrifuges (which help enrich Uranium) and it has also promised to stop building new centrifuges. The operator of the Fukushima Daiichi nuclear plant is preparing to complete the first transfer of nuclear fuel from a reactor building to a safer storage pool. On Thursday, Tokyo Electric Power Company moved the batch of nuclear fuel from the No. 4 reactor building to a nearby facility housing the safer pool. TEPCO workers used a trailer to carry a cask containing 22 unused fuel assemblies to the building 100 meters away, then unloaded the cask inside the building. The workers plan to transfer the fuel units from the container to racks in the storage pool on Friday. This will mark the completion of the first transfer. TEPCO says it will review whether there were any problems or challenges. If not, the utility says it may start removing spent fuel assemblies that are far more radioactive than the unused fuel. The pool in the No. 4 reactor building contains more than 1,500 fuel units, most of which are spent fuel rods. The operator of the Fukushima Daiichi power plant says it has removed the first batch of nuclear fuel from the reactor 4 building to a safer storage pool. Footage released by Tokyo Electric Power Company on Thursday shows workers lowering a steel cask containing 22 unused fuel assemblies from the 5th floor of the reactor building. Engineers used a huge crane to lower the cask, 5.5 meters long and two meters across, onto a trailer on the ground. The container was transferred slowly to a separate pool in a building 100 meters away, and lowered into water to store the fuel more safely. TEPCO plans to begin on Friday plucking the fuel assemblies out of the cask and placing them in storage racks inside the pool. The utility says it will review the process before starting a second round of fuel transfer. Thursday's transfer involved unused fuel units. The reactor's storage pool has 1,511 fuel assemblies left, including 1,331 highly radioactive spent fuel assemblies. TEPCO says the building housing the separate pool can withstand an earthquake as strong as the March 2011 disaster that badly damaged the plant. The operator of Japan's damaged nuclear plant has resumed trial operation of the last of 3 lines of a key water decontamination system. Officials of Tokyo Electric Power Company restarted the 3rd line of the Advanced Liquid Processing System, or ALPS, at the Fukushima Daiichi plant on Thursday. The system is designed to remove from contaminated water 62 kinds of radioactive substances, excluding tritium. But its test operation was suspended in June following leaks of unprocessed water from a tank due to corrosion. The utility restarted the lines one by one after working to prevent further corrosion. The officials say test runs so far have shown that the system is failing to fully remove 4 types of radioactive substances, including cobalt and antimony. They say they will work to fix the system and confirm the effects of anti-corrosion measures before making it fully operational next year. ALPS was originally to be in full operation this autumn. Tokyo Electric plans to add more lines to the system so that it will be able to process all radioactive water in the plant's storage tanks by March 2015. Radionuclides in fishes and mussels from the Farallon Islands Nuclear Waste Dump Site, California. Alex welcomes chemical physicist Dr. Christopher Busby to discuss what the removal of nuclear fuel rods at the Fukushima Daiichi Plant entails, and to examine the tsunami-battered nuclear reactor's persisting radiation threat. Editor's Note: See Dr. Busby's article Fukushima Fallout Damaged the Thyroids of California Babies for his discussion of the thyroid study he co-authored. I have embedded Dr. Busby's Fukushima worst case scenario paper mentioned in the interview below for your convenience. I spotted this initially on MsMilkytheclown1's YouTube feed. There is a lot of profanity in this video, so be warned. 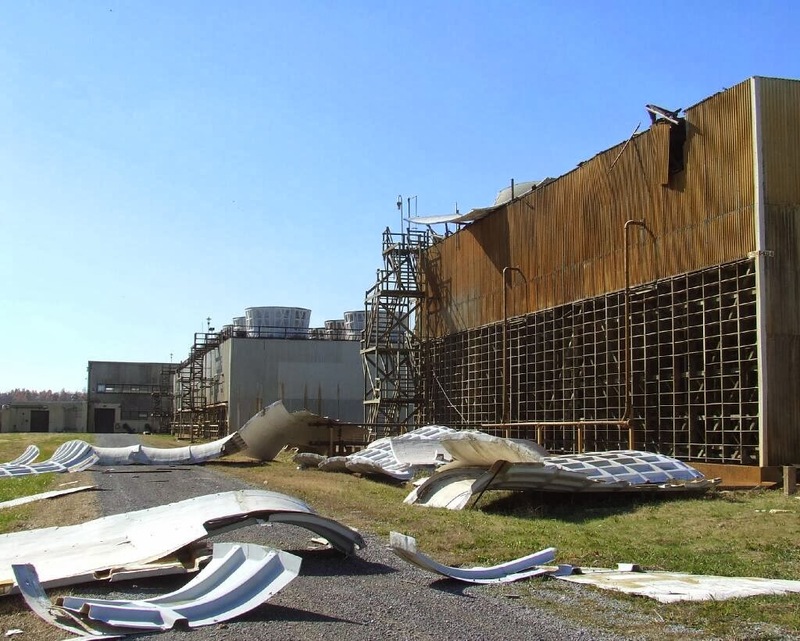 See ENENews Tornado hits U.S. nuclear facility – Uranium enrichment building damaged — Parts of cooling towers destroyed — Alert declared for ‘emergency condition’ (PHOTOS) for their usual good collation of articles. A map of Paducah Gaseous Diffusion Plant appears below. Read the rest of this great blog here. Removal of the unit 4 spent fuel pool nuclear fuel rods has begun today (11/18/2013) at Fukushima I. The process will take more than a year to complete. 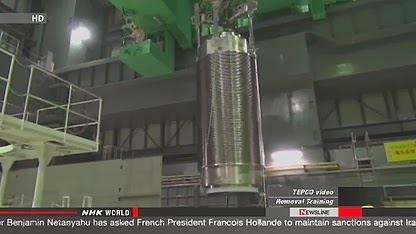 See NHK's Removal of nuclear fuel begins at Fukushima article for video and Asian Gazette Blog by Joël Legendre-Koizumi for further details. 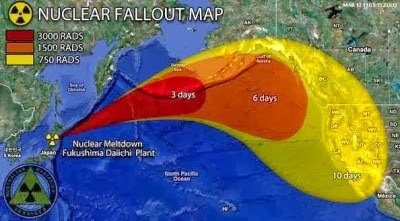 4/26/2011 Washington's Blog Is a Rogue Computer Virus Shutting Down Nuclear Plants Worldwide? 4/23/2011 Japan Today Is U.S. military relief effort Operation Tomodachi really about friendship? 4/23/2011 Propheticseer.com VIDEO: Radioactive America! What the Mainstream media is NOT TELLING YOU! 4/21/2011 Washington's Blog "The Risk of a Nuclear Catastrophe ... Could Total Trillions of Dollars and Even BANKRUPT A COUNTRY"
4/14/2011 Washington's Blog What Foods Are Highest in Antioxidants? Some Inexpensive Foods Are Higher In Antioxidants than the Newest Pricey "Superfoods"
4/14/2011 The American Dream Much Of Northern Japan Uninhabitable Due To Nuclear Radiation? 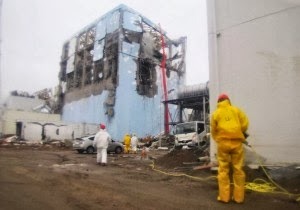 4/13/2011 Washington's Blog No, Japan's Nuclear Reactors Are Not "Stable"
3/15/2011 UK Mail Online America on radiation alert: Japan faces world's worst nuclear accident since Chernobyl as experts warn fallout may reach U.S.
© 2011 by Jason Chan. Powered by Blogger.